My little girl turned 3 a little while ago and we held a little party for her. 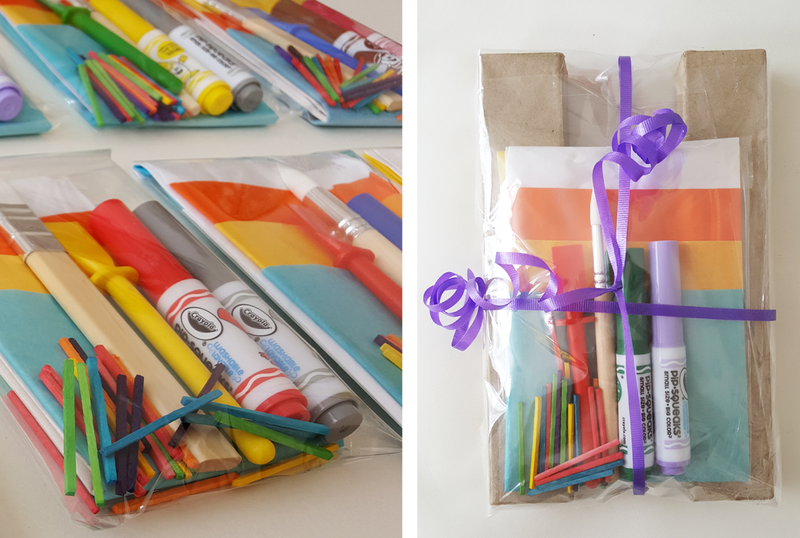 I put together these 'party bag' gifts for her friends so they could get arty at home after the party. 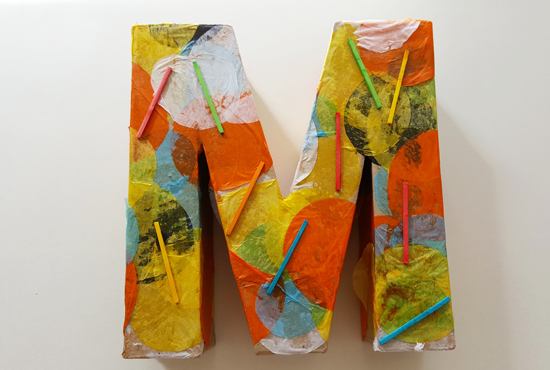 I bought some 3D card letters in the initials of the party guests, and added some bits and bobs for them to get decorating. 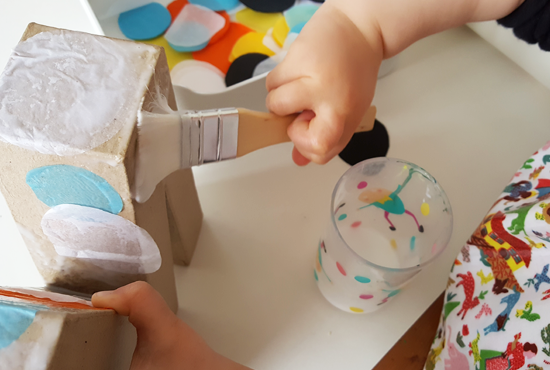 I added a glue spreader, paintbrush, tissue paper and coloured matches, but you could add all sorts of crafty bits to mix it up a little. 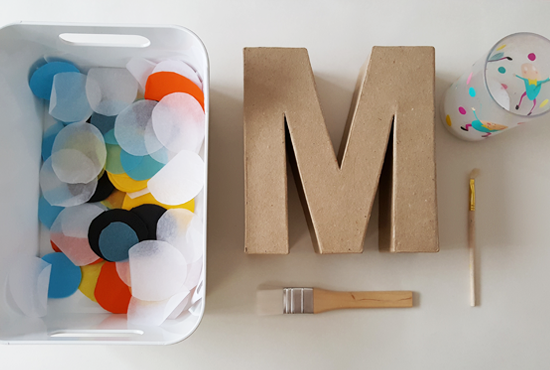 My daughter and I had fun making hers before the party, and she was excited to hand them out to her friends. 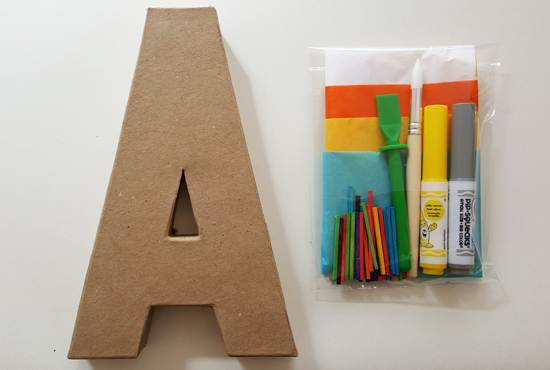 Maybe next year we will attempt a full on arty birthday party, when I have the time to do a little more planning... this is a nice little idea for an alternative party bag anyhow, just add PVA and little fingers and imagination!